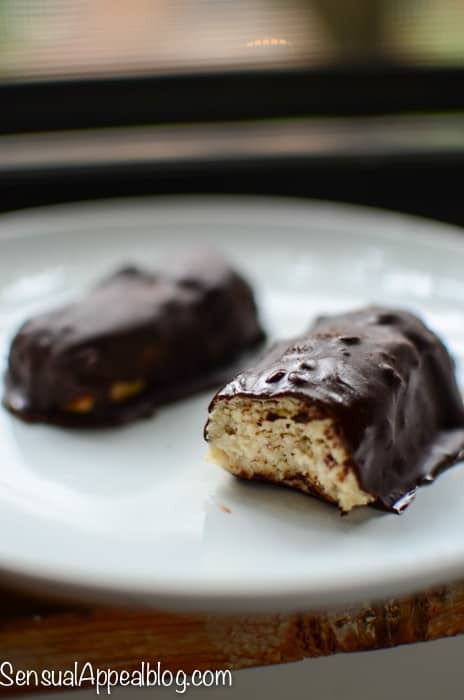 You love homemade protein bars. Don’t deny it. Due to the amazing feedback I received on my vegan Red Velvet Protein Bars, I decided to make a variation to these homemade protein bars. Non-vegan this time because of the protein powder I used, however it can easily be made vegan if you use a plant-based protein powder of course. I recently got to try Vi-Shape nutritional shake mix in Sweet Cream flavor courtesy of ViSalus. The protein comes from mostly soy and whey. While I try to not take in much additional soy, I did hear good reviews about the ViSalus shakes so I was curious. The flavor is good! However this isn’t your typical protein powder, it is more of a nutritional shake as it contains much less protein than regular protein powder would. The mix can aid in weight loss as it is low in calories, sugar, sodium and has a myriad of other health perks. The only thing I disliked was that it contained artificial flavors. What is your favorite flavor to pair with coconut? How often do you eat protein bars? I recently made Chocolate Bark topped with Coconut. It was amazing. tehehe thanks love! I’ve never actually had “bark” before – how is it different from a chocolate bar? gotcha! It looks yummy 🙂 thanks for sharing!! Those sound really good! I agree with you though, I’m not a fan of Vi-shakes because I stay away from artificial ingredients like the plague! They always caused me major migraines in the past. These look yummy though and could easily switch the powder! Indeed! 🙂 Thanks for stopping by, love! I agree about artificial sweeteners and I wouldn’t have soy everyday either! I love that Kammie was honest in pointing out the fact that the shake mix contains those ingredients. I knew, but not everyone does :). I may try making these with my Shakeology! My 3 year old loves dessert and I love making them healthy too!!! Fantastic, any kind of protein powder would work for this and I haven’t tried Shakeology but I heard those are nice. Are the flavors really yummy? Yum!! Those look super good! 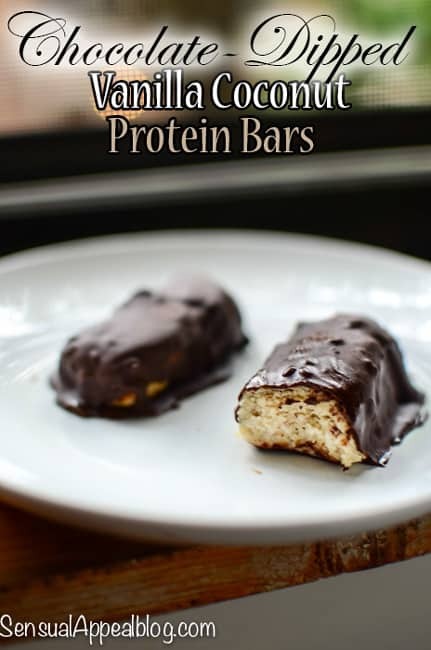 I love making homemade protein bars. Definitely less sketch than store bought! Kammie, I loved your red velvet protein bars (although mine weren’t red because we don’t have that cocoa you mentioned here in Aus). I have modified your recipe to triple the protein content and I tend to use more almond meal than coconut flour. 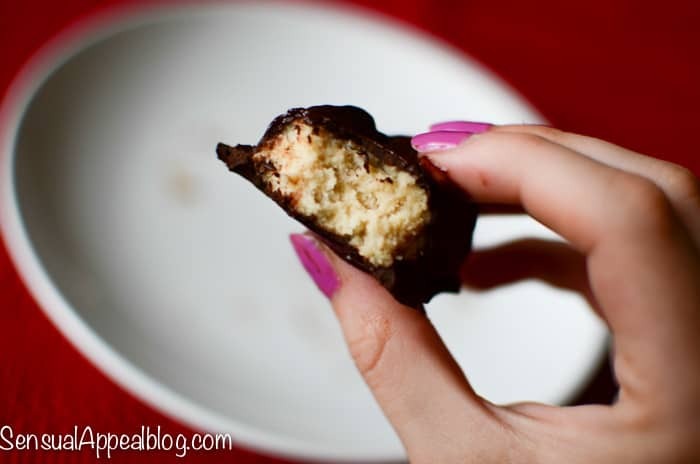 Still, super awesome recipe and I am no longer buying expensive protein bars. Also, the homemade article is just so much more delicious. Thanks, you are a treasure. What can I use instead of almond flour? Could I use more coconut flour ? Let me know how the apple donuts turn out!! And the coconut flour instead of almond flour will be fine, the batter will just be thicker but it will still hold well! 🙂 Hope you enjoy! Make sure to let me know what you thought, I’d love to hear from you!